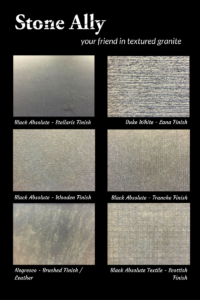 Stone Ally is proud to offer six, textured granite products. Recent improvements in the Italian manufacturing process have resulted in greater product consistency and durability. Designers can achieve a look that has more character for a nominal increase in expenditure. The idea for texturizing granite stems from split facing Travertine, which results in a natural, uneven surface. 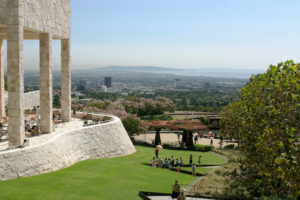 Richard Meier, architect of the Getty Museum, Los Angeles, California, made texturizing natural stone infamous by using the guillotine method to separate travertine slabs. The beige-colored, cleft-cut, textured, fossilized travertine building symbolizes permanence, warmth, simplicity, and artistry much like the museum’s collection. 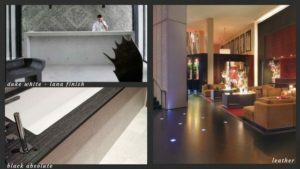 The Getty project created a demand for this new fashion and different textures were developed, and applied to other stones, including granite. Unless you are going to design build with diamonds, rubies, or sapphires, you will not find a natural stone harder than granite. 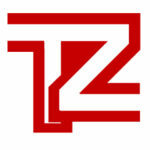 Its durability makes it an excellent choice for texturing. It is also a great counter top material, because the sharpest knives won’t scratch it. Many slabs, split along their natural grain, reveal fossilized leaves, branches, feathers, and occasionally bones, which brings character to your project. Contact Steve Antisdale for samples and more product information.